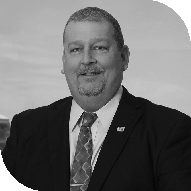 Serving the Cape Coral area, James provides the personalized investment guidance you need to help make your financial goals a reality. Using a personalized, one-on-one approach, James works closely with you to develop an investment plan that works for your unique objectives. I've been happily married for over 20 years and am blessed with three daughters. We moved to Florida from the Northeast 15 years ago and have developed some terrific friendships within the community. When I am not helping my clients I am spending time with my family, boating, fishing, and traveling. My wife and I are also members of the local Elks Lodge and like to volunteer in the community.